Ranger 911: So long February, hello March! So long February, hello March! this year I'm celebrating the turning of the calendar page. Only 6 days left of The Whole 30!!! I thought I'd celebrate making it this far with a selfie. I have a tendency to fill up any available wall space with a shelf. Replacing a wall cabinet in the kitchen. I know I missed a few, but you get the picture. ......for my old brackets. 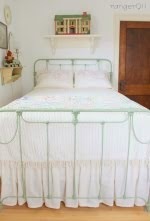 Simple wood planks across the brackets. when I get around to making it, that is. You know my decorating MO. This little cabin was in the out pile, but I decided to give it another chance. I need to channel my inner Chip and Joanna Gaines for this fixer-upper. The big door has been cut in half and window openings cut into each door. I'm still contemplating how to trim them out. I spend a lot of time contemplating here at 911.
but it's got a lot of charming details. There are 2 windows on the opposite side. will be decorating a shelf. Hi Vickie! Oh, I just love to see what you're up to! 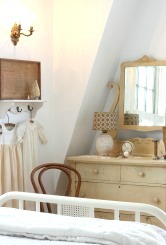 Love all of your sweet vintage vignettes. I've just recently gotten into miniatures and I'm crushing on your little house. I don't have a house yet, just shelves. But that is not deterring me a bit! Hope you're doing well. You have an amazing collection of shelves and such fun stuff to put on them. You are an inspiration. I'm glad you are counting down to the end of the 30 day challenge. Congratulations. I love the cabin. Love all your sweet pics in this post today Vickie. Congrats on sticking with the 30 day challenge. You go girl. 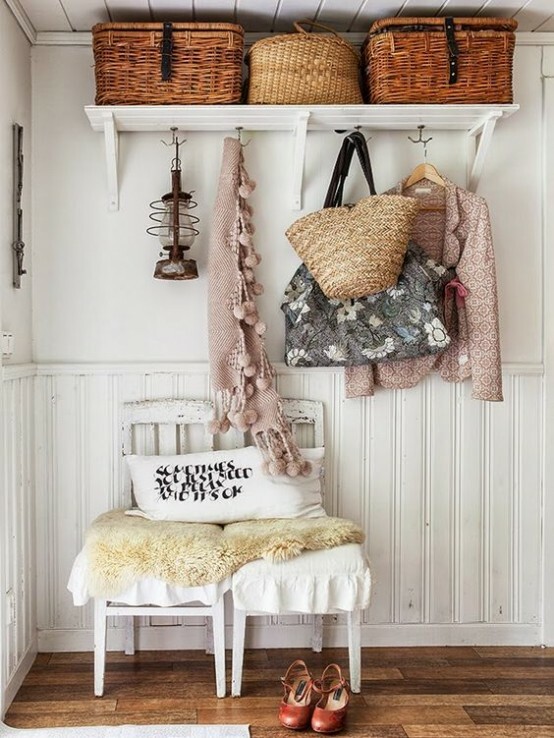 You have so many very cute shelves, styled in so many fun and charming ways. 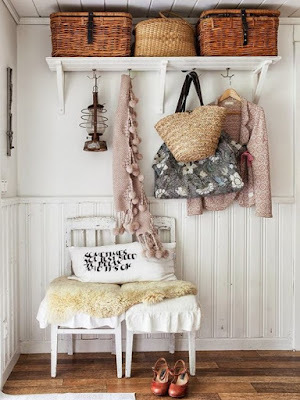 loved all your different shelves, so cute! You've made some improvements on your little "fixer upper", I think when you're through, it'll be a keeper! Everything is looking very cute! I haven't blogged in a while but hope to do better! I've finally gotten on Instagram, it's pretty fun, much easier and quicker then blogging, not giving up blogging though. You might want to check it out if you haven't. There is everything on there, beautiful décor, crafters, diyers, sewers, quilters, anything you like. I found Tina from What We Keep and a lot of other favorite bloggers. If you do decide to do it, comment to me so I can find you! PS. If you want to look me up on instagram, you can find me at walnut_and_vine. You can click on who I follow to get an idea of what's out there. You might like it! 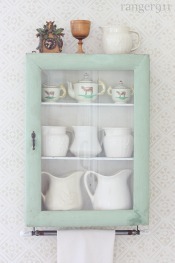 I love your charming vignettes...and of course each requires a little shelf! Wow, Vickie, you have a GREAT collection of shelves and everything that's on/in them! Happy March (I love March, January is our equivalent to all that you don't like about March, but not even this year except for a few days). Congrats on finishing Whole 30. Vickie, I love your shefies! Shelves are so fun to display our treasures. I don't have as many as I use to. Not a lot of wall space in this home. The brackets are fabulous! Love them just sitting. 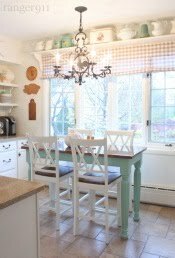 I have corbels that I sit around the house. I know your shelf will be fabulous though. No one does vignettes like you vicky! Everything is simply charming! Always a treat to see what you're up to :). I love all your little shelves. And that cabin-I'm loving that too. Yay for you on your whole 30. You deserve a big selfie after that!! I do believe a selfie of a shelf is a shelfie! And I kid you not. But anyhow I enjoyed taking a tour of all your shelves! I especially love the one with the truck and teddy bear on it. I love your shelves, Vickie...every.single.one. Those brackets caught my eye immediately! They are gorgeous! It'll be fun to see how you use them! I'm glad you kept the little cabin, too! Congratulations for sticking with the Whole 30! Oh my gosh, I love all your amazing shelves!! 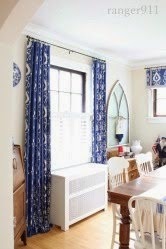 I'd love to see more of your home, it's so charming and you truly have a wonderful way with décor! They're all adorable and you have them accessorized so cute. Those brackets are wonderful and I love what you're doing with the little cabin. A girl can't have too many shelves, right? Congratulations on your Whole 30 upcoming completion! I can only imagine how difficult that was. What happens when you're done? Do you go back to the way you were or continue it as a lifestyle change. Your newest project turned out cute. I like the white paint on it. So, what do you think of Whole 30, now that you're almost done with being on it a month? I bet you feel great. Will you stay on it? Congrats on completing your diet challenge. I love all your shelves. All are so charming! I always love all your "shelvies" vignettes! The houses are so adorable!